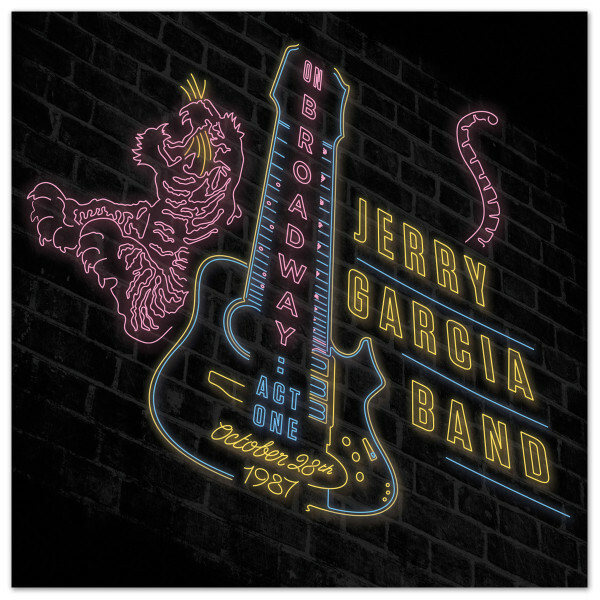 The first installment in a new archival series celebrating Jerry's magical 13 night run on Broadway. On Broadway: Act One presents three complete, previously unreleased sets from October 28th, 1987 at the Lunt-Fontanne Theatre in NYC -- the Jerry Garcia Acoustic Band's early & late sets and the Jerry Garcia Band’s electric evening set. The release was produced from two-track soundboard recordings originally captured to digital audio tape and features a liner note essay by author, historian and Grateful Dead publicist, Dennis McNally. Highlights are many, but include the Acoustic Band's "I Ain't Never," "Blue Yodel #9," and "Short Life of Trouble" in addition to the electric band's "Gomorrah," "Evangeline," and "Knockin' On Heaven's Door."